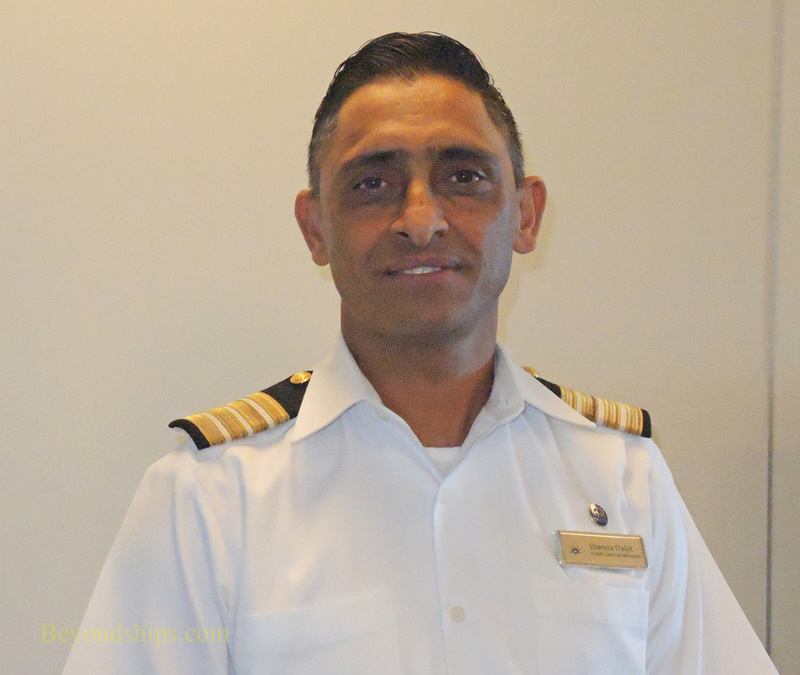 Hotel General Manager Daljit Sharma heads the largest department aboard Britannia, encompassing the dining, the activities and the entertainment as well as the accommodations. In short, just about everything that involves passengers. Therefore, we asked him for his insights into the cruise experience provided on Britannia. Britannia is the sister ship to Princess Cruises' Royal Princess and Regal Princess in that they were built to the same design by the same shipyard. However, Britannia is not a mere clone of her Princess relatives. “Here, if you stand in the Atrium, it gives you a feeling of grandeur. It expands the whole width of the ship. On our sister brand, Royal and Regal, they have two staircases [in the atrium] going up, we've got only one because wanted to give it a feeling of openness. They have the balconies coming out in an arch. We don't have that because of the square structure in the center. The brands are different and for their brand it works. For us this works perfectly fine.” (See separate pictorial). “The buffets are designed in such a way that there are lines on both sides so it does not look full.” In addition, because of her size, Britannia can offer an array of dining alternatives which include not just the main dining rooms and specialty restaurants but several casual venues. Thus, the buffet is not the only option if you want something to eat. 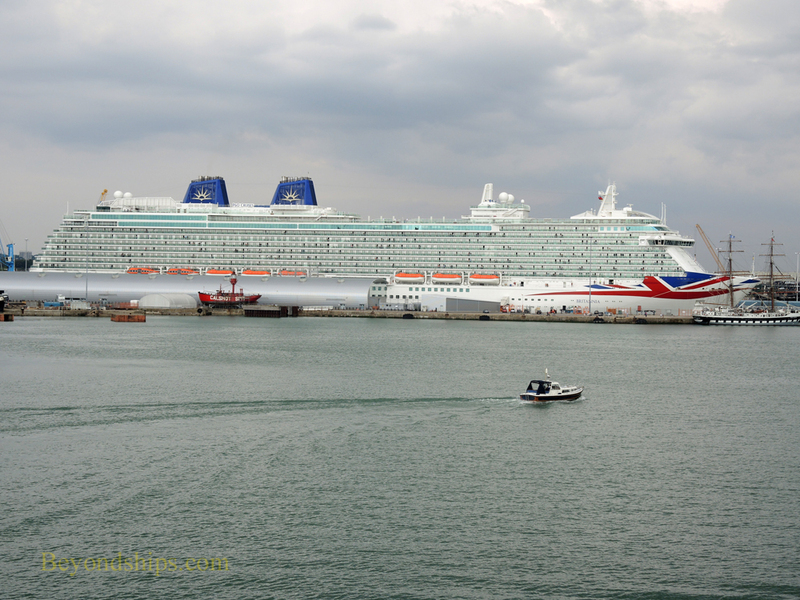 In the publicity for Britannia, much was made of the notion that the ship was designed for the British market but how is the cruise experience on Britannia more British than the experience on other cruise lines?